MEAT WEEK is coming! postcards made for MW SF 2013! 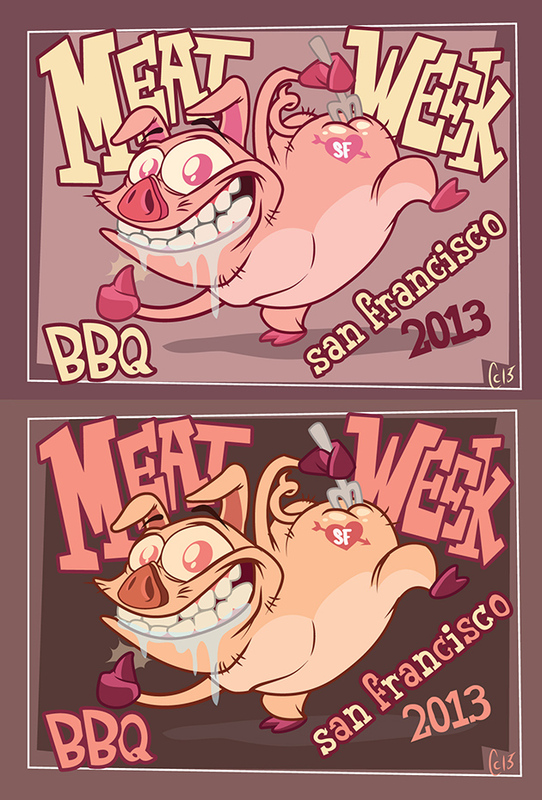 san francisco, brace yourselves, meat week 2013 is coming–these postcards will be distributed around the city–pick one up and join us!-schedule will be on back! ~ by candice on January 21, 2013. This entry was posted on January 21, 2013 at 7:14 pm and is filed under character design, concept art.You can follow any responses to this entry through the RSS 2.0 feed.You can leave a response, or trackback from your own site. Previous: new loading screen for monsters!